[ Maggs Brothers, London booksellers. ] 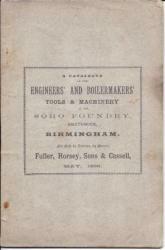 Printed catalogue: '1915. Desiderata. No. 2. 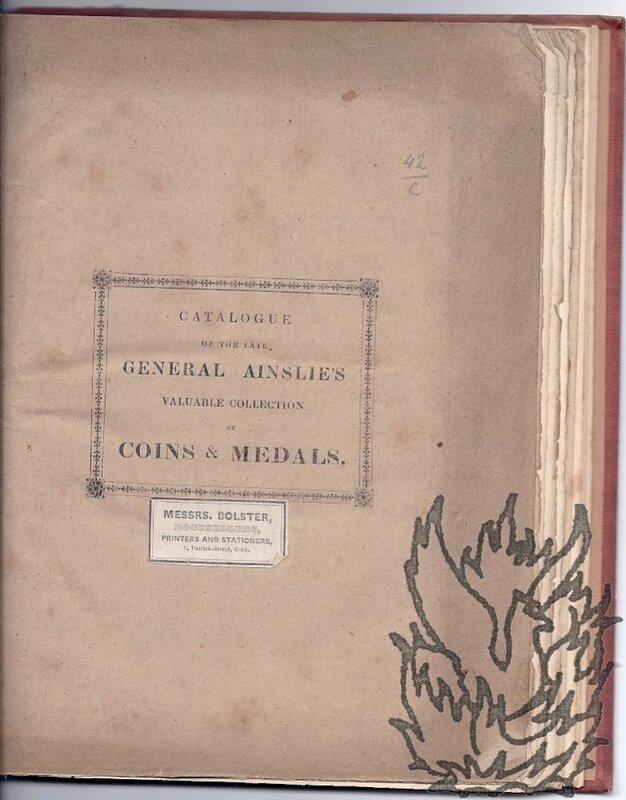 Catalogue of Books Wanted to Purchase'. + 44pp., 12mo. Stapled in grey wrappers (which are included in the pagination). 3258 items, in double column, from '1. A full and correct report of the trial of Sir Home Popham, 1807' to '3258 [ Zola. ] - Labor'. A 'Special Notice' at the front explains that 'All the books are definitely desired for Customers or for completing sets. The greater number are inexpensive, and many of them would be found on the shelves of Circulating Libraries.' No copy traced on OCLC WorldCat or COPAC. [Christie, Manson & Woods auction catalogue.] 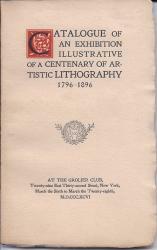 Catalogue of the Highly Important Collection of Pictures formed by the Right Honourable Sir Julian Goldsmid, Bart., P.C., M.P., deceased. 33pp., 8vo. In brown printed wraps. Disbound from a collection of pamphlets, and with library stitching on spine. 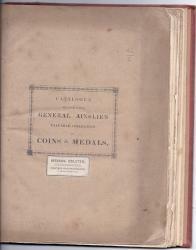 Aged and worn, with stamp of the Free Public Library, Wigan, to damaged front cover. Covers and last leaf loose. 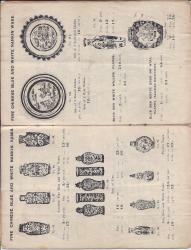 82 lots with unusually detailed descriptions. Mostly devoted to British artists, the collection included a Constable, couple of Turners, three Gainsboroughs and four by Sir Joshua Reynolds. Scarce: the only copy on COPAC or WorldCat at Oxford. 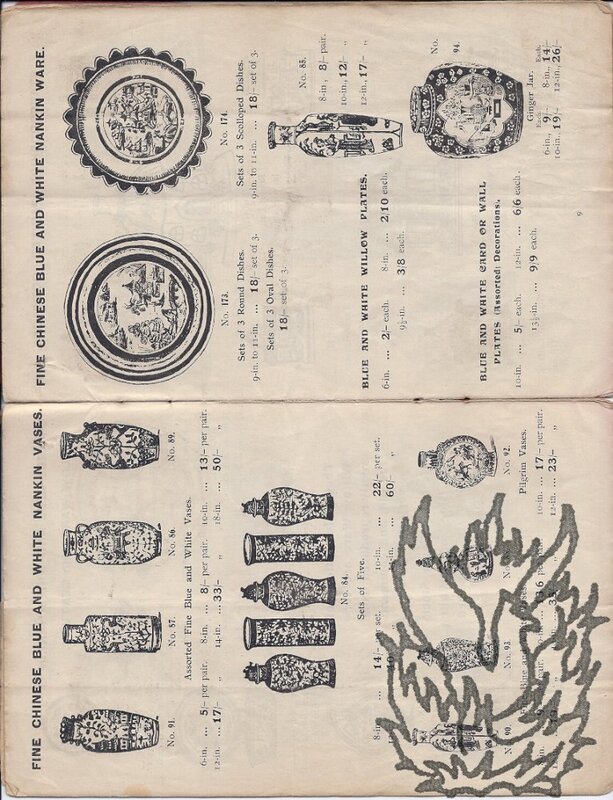 [Printed bookseller's catalogue.] 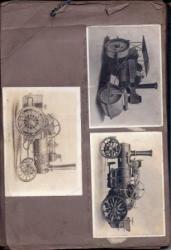 Frederick Warne & Co's List of New & Recent Publications. Season 1900-1901. 16pp., in illustrated wraps with the outer covers printed in green and brown, and three more pages of advertisements on insides and back cover. Bifoliate order form (4pp., 12mo) loosely inserted. 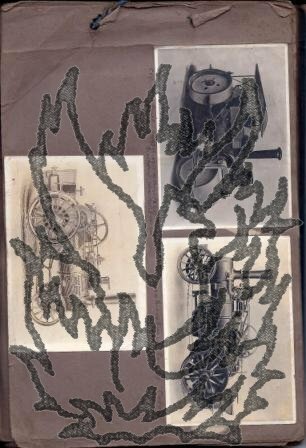 The old stalwarts John Ruskin, Kate Greenaway, Walter Crane, Edward Lear, jumbled together with newer titles such as 'Gobbo-Bobo, The Two-Eyed Griffin', 'Prince Cheery-Heart' and 'The Bunkum Book. A Tale of Topsy Turvy Land'. Sadly no mention of Beatrix Potter ("Peter Rabbit" published 1902.). Scarce: no copy on OCLC WorldCat or COPAC. 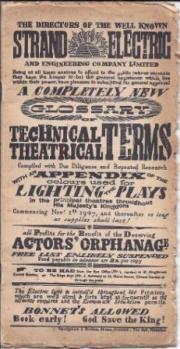 [Printed pamphlet.] 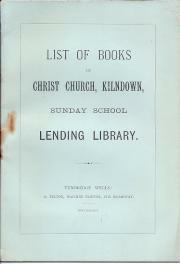 List of Books in Christ Church, Kilndown, Sunday School Lending Library. Tunbridge Wells: R. Pelton, Machine Printer, The Broadway. 1889. 12mo, 12 pp. In original light-blue printed wraps. Stapled. Text clear and complete. On aged paper with slight damage from rusting of staple, and a little wear and loss to the corners of the wraps. 202 titles, nicely printed. 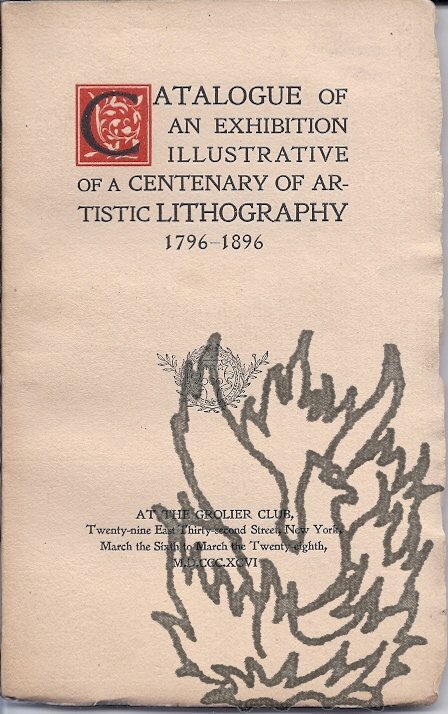 Excessively scarce: no copy in the British Library or on COPAC. 8vo, 345 pp. Frontispiece and 26 plates. Small blue accession stamp ('134149') on reverse of title. 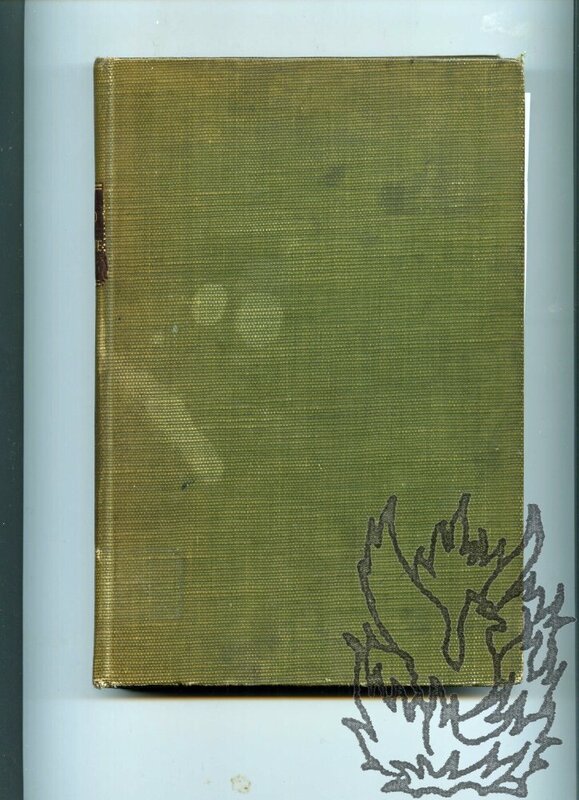 Bound in green buckram with leather label. Fair, on aged paper and occasionally-discoloured paper. 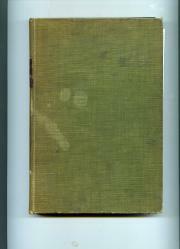 A tight copy, on worn and stained binding. 2451 lots with unusually full descriptions. Two page 'Prefatory' describing the 'widespread interest' that has been 'displayed in the announcement of the dispersal of Mr. Hubbard's extensive and well-chosen collection of books relating to America'. 'To suggest [...] that Mr. 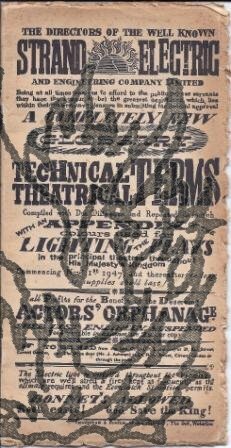 Printed notice of relocation, and advertisement for new publications. [Circa 1910.] London: James Blackwood & Co., 12/14 Heneage Lane, Bevis Marks, E.C. 4to, 4 pp. Bifolium. Nicely printed with vignette of flowers and ribbons on first page. Fair, on aged paper. The firm, boasting establishment in 1849, is described on the first page as 'late of Lovell's Court, Paternoster Row, E.C. ', where the announcement is made 'that they have Transferred their Business to the Above Address'. 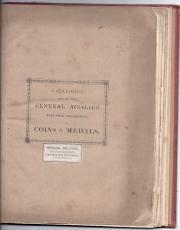 Six new editions of works are advertised on the following two pages, with details given of contents. 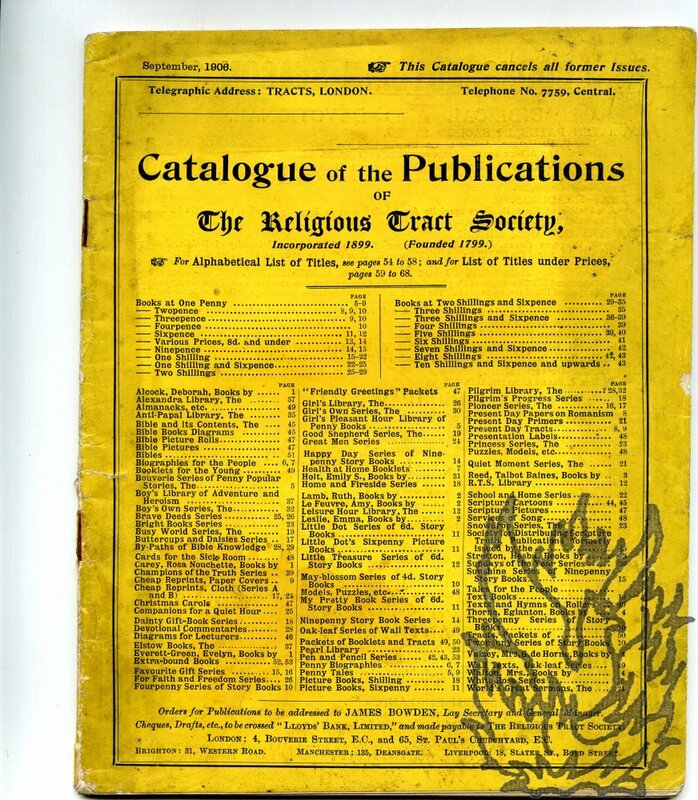 The last page advertises 'Blackwood's Diaries for 1911' and 'Blackwood's New Series of Scribbling Diaries'. 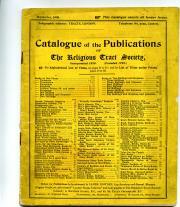 Catalogue of Books published by James Blackwood & Co., Publishers & Wholesale Stationers. 12mo, 24 pp. Unbound. Text clear and complete. 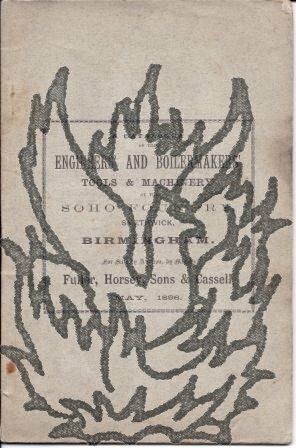 Fair, on aged paper, with rusting to staples. Hundreds of titles, in such series as 'The Unique Library', 'Choice Readings. Books suitable for presents, etc. 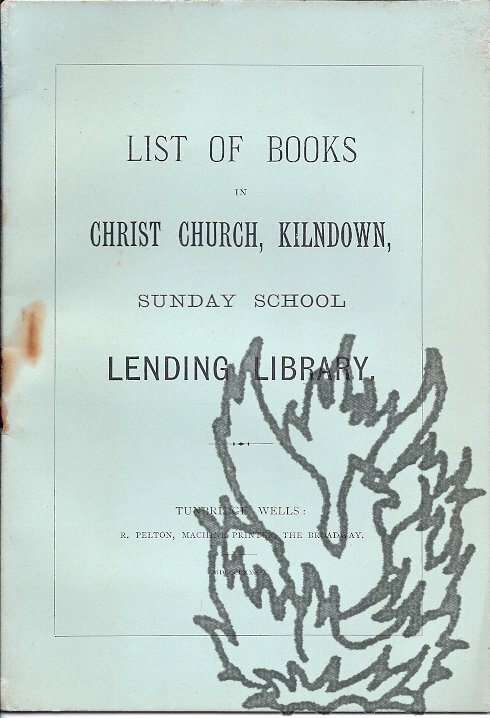 ', 'Universal Library of Standard Authors', 'Blackwood's Edition of the Poets', 'Library of Thoughtful Books' and 'Choice Books for Young Persons'. Ten catalogues (five of the first firm and five of the second) of autograph letters, manuscripts, historical documents. Myers & Co. (Booksellers) Ltd.; Winifred A. Myers (Autographs) Ltd.
Myers & Co. (Booksellers) Ltd., 102, New Bond Street, London, W.1: 1941, 1955 (2), 1956 (2). Winifred A. Myers (Autographs) Ltd., 80, New Bond Street, London, W.1: 1958, 1959, 1960, 1962, 1965. The ten items are all in the same 12mo format, each stapled and in coloured printed wraps. Page range between 56 and 106. Internally good, with occasional chipping to the high-acidity paper wraps. Rusting staples. A total of c.4500 items, catalogued in detail by a pioneer in the field and a President of the Antiquarian Booksellers' Association. Containing a mass of information about a wide range of individuals ans subjects, from 'Musicians' to 'Prime Ministers', George Gissing to George III, Lord Byron to Florence Nightingale, and Robert Browning to Napoleon Bonaparte.